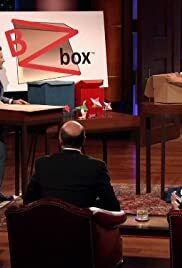 On the season finale, a college sophomore wants to make her own American dream come true with her reusable storage box. A couple hope to cook up a deal with their reinvented cookware, two exuberant moms create an iPad app that measures foot sizes, and two men from Aurora, IL design a simple solution to tying up a water balloon. In a first of its kind follow-up, many of the amazing success stories from "Shark Tank" are highlighted, with the entrepreneurs discussing their experiences and how their businesses have grown since coming to the Tank.